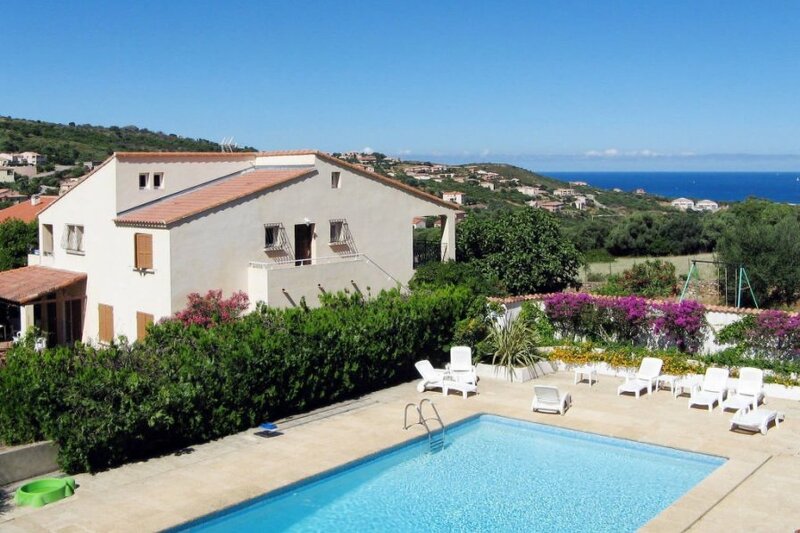 This 4 bedroom apartment with swimming pool is located in Propriano and sleeps 8 people. It has WiFi and air conditioning. The apartment is near a beach. Apartment, 8 people, 5 room/s, 4 bedroom/s, 1 bathroom/s, approximately 110 m², 1 floor/s, apartment on ground floor. Equipment: TV; internet access Wi-Fi (included); washing machine; combined heating/air conditioning.